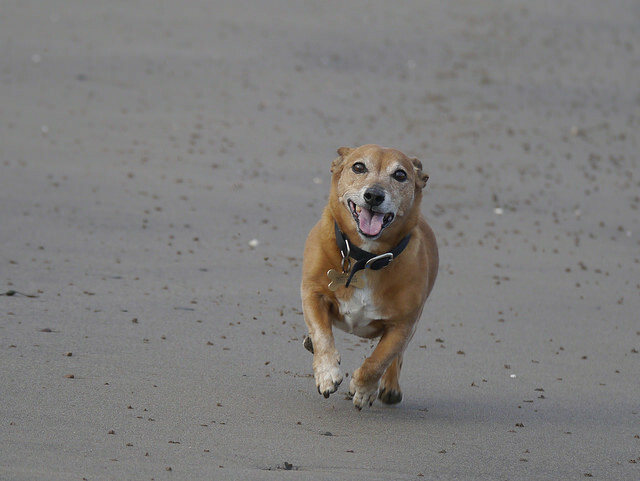 Home > Glucosamine for Dogs is a Bad Idea… Except When it Isn’t? Glucosamine for Dogs is a Bad Idea… Except When it Isn’t? Your dog is suffering from arthritis. It pains you to see your companion in such pain each and every time he gets up from a nap. Your once vibrant and lively dog now has trouble walking down the hall. His joints are stiff, he seems to have lost interest in taking walks, and you would do anything to help him find the pep in his step again. Arthritis in dogs can be caused by a number of factors; however, the most common factor is natural aging. Affecting one in five dogs, arthritis is a degenerative joint condition and most often affects the hips, lower back, knees, wrists, and elbows of our canine pets. 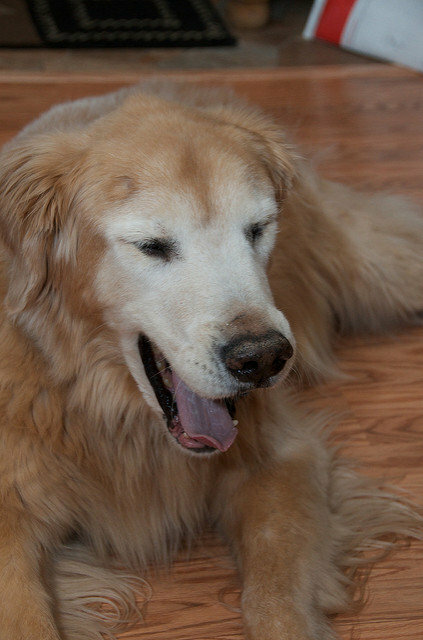 What are Canine Arthritis Symptoms? If you notice your dog suffering from any of the above, reserve an appointment with your veterinarian right away. Because many of the symptoms of canine arthritis can also be similar to many other illnesses, it is best to get your dog assessed professionally. Your veterinarian will make a diagnosis of arthritis based on your dog’s age, medical history, and assessing your dog during a physical exam. How is Canine Arthritis Treated? If your veterinarian diagnoses that your dog is suffering from arthritis, what are the treatment options and how effective are they? 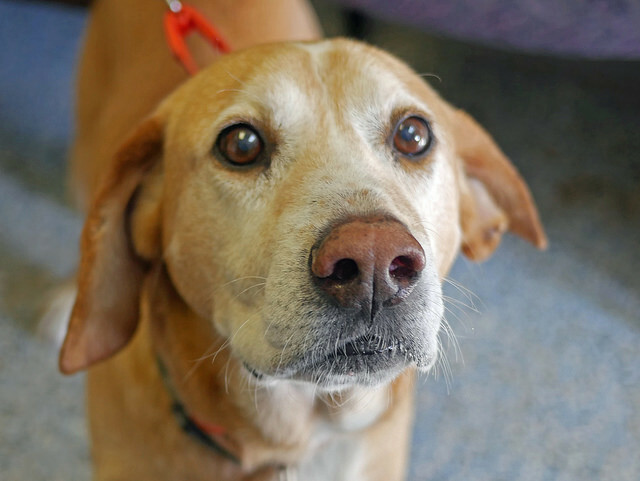 The good news is that even though your dog may be suffering from arthritis, the multiple treatment options available for canine arthritis have been shown to be highly effective, enabling your dog to live to a normal life expectancy, pain-free. There are multiple treatment options for canine arthritis, including arthritis medications, pain-relief therapy, and joint supplements. 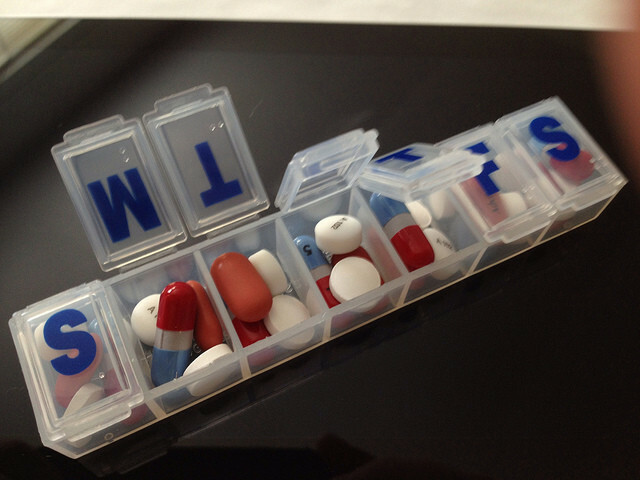 Arthritis medications include NSAIDs, anti-inflammatory drugs, and cartilage protectors to promote joint repair. Your vet may also prescribe various pain relief medications. Therapy options include joint massage and other therapeutic activities that help your dog move their stiff joints (e.g., water therapy that takes the pressure off the joints, but enables your dog to move their limbs more freely). Joint supplements, sometimes called nutraceuticals, have also been found to be highly effective in relieving your dog’s arthritic pain. The most common joint supplements for canine arthritis are glucosamine and chondroitin. Glucosamine is effective in pain reduction, joint inflammation reduction, and increased joint mobility. Glucosamine supplements are often paired with chondroitin, which promote joint repair. The use of joint supplements for canine arthritis has increased exponentially in recent years, especially considering that many of the drugs prescribed for arthritis can cause unpleasant side effects if used long-term. Many people think that because joint supplements are herbal that they are generally safe. However, recent reports of glucosamine toxicity in dogs has most often been linked to joint supplements with ingredients sourced from and/or manufactured in China. Many pet owners buy these supplements because they are cheaper than ones sourced and made in the United States; however, they are often laced with toxic chemicals or are contaminated with deadly bacteria like Salmonella. Glucosamine is very effective in pain reduction; however, before giving your dog any type of supplement, you should check with your veterinarian. Your veterinarian will be able to determine if taking glucosamine alone is suitable to treat your dog’s arthritic pain, or if it should be combined with other medications to provide the most optimal pain relief. A recent report by ConsumerLab.com uncovered that many joint supplements on the market contain lead and other contaminants. In fact, only 50% of the joint supplements tested passed ConsumerLab.com’s quality criteria. 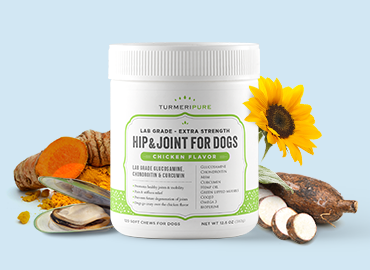 In addition to harmful chemicals found in glucosamine and chondroitin joint supplements for animals, ConsumerLab.com also found that the levels of glucosamine and chondroitin advertised in the ingredients list were much smaller than advertised. In fact, one joint supplement product only contained 4.5% of the amount of chondroitin advertised, another contained no chondroitin (even though advertised), and another contained arsenic. The scary thing is that many of the products tested are name brands – ones that you can buy online from popular pet medicine dispensaries and pet stores. Even though there is a widely held belief that natural joint supplements are generally safe, you can see why this is not always the case. In a recent report published in The Canadian Veterinary Journal, toxicity levels of the joint supplements of glucosamine and chondroitin were reported when a studying dogs who overdosed. When taking large amounts of joint supplements, many dogs exhibit symptoms of hepatotoxicity. Drs. 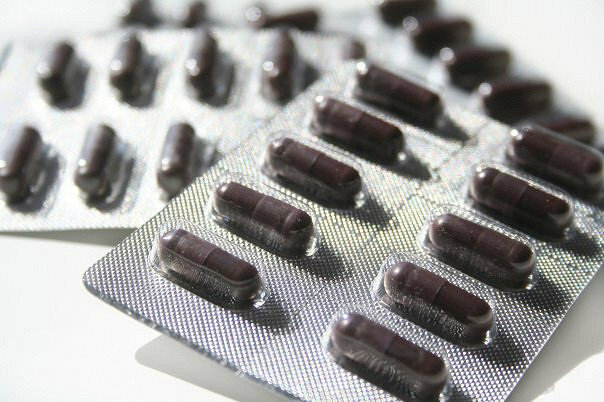 Irma J. Nobles and Safdar Khan suggest that many of the cases of joint supplement toxicity is because the FDA is not required to regulate herbal supplements for safety. You may have been hearing about an increase in the number of reports of pet deaths and illnesses from pet products sourced from China. In fact, the FDA is currently investigating nearly 600 deaths and over 3,600 pet illnesses from pets ingesting products sourced from China. Why are people purchasing products from overseas and why are our pets getting sick? Because supplements and other pet products are not regulated by the FDA, companies are not legally obligated to report where the products are sourced. In fact, supplements can say “Made in the USA” on them, even if the ingredients are sourced from China. What attracts people to buy supplements such as these? The number one reason is because they are cheaper. Pet owners are attracted to the good price tag, even though what they are giving to their pets to ingest can be much costlier in the long run. The levels of glucosamine and chondroitin in these products are lacking. And much more troublesome is the addition of toxic chemicals and bacteria as fillers (lead, arsenic, Salmonella to name a few). Are there Safe Joint Supplements on the Market? You can safely buy quality glucosamine chondroitin supplements for your dog’s health. You just have to be vigilant. There is no question that joint supplements can help dogs suffering from arthritis. However, you need to buy the right supplements. What are the right supplements to buy? As previously mentioned, some products are legally labelled as Made in USA when the products are actually sourced from China. When choosing which supplements to purchase, it is necessary to inquire about the product’s source before using. The solution to keeping your pets safe from toxic chemicals and bacteria, while proactively decreasing the pain associated with arthritis? Only purchase lab grade glucosamine chondroitin made with ingredients sourced in the USA or in other countries with strict regulatory oversight and testing. With the right joint supplements for decreased pain, increased mobility, and decreased joint inflammation, your dogs will be showing more pep in their steps in no time. Where to Buy Lab Grade Glucosamine? There have been a large number of reports of highly inferior and toxic dog supplements on the market in the past few years. The problem is worsening due to the explosion of internet shopping and the import of cheap products from China that have not been tested and which have no FDA oversight. Most of these unscrupulous brands are selling weak ingredients and often are being found to include toxic chemicals, fillers and dangerous heavy metals. Below are two companies that we’ve tested and found to produce lab grade glucosamine and chondroitin. They are more expensive as the ingredients are of a higher quality and they’ve undergone independent testing in US and European labs. Have other dog joint products that you’ve found to be highly effective? Please send your tips to us! We’ll purchase, test, and review them, and add them to the recommended buying list if they are lab grade and do not contain heavy metals or any toxic chemicals or otherwise damaging fillers.